activpayroll Wins Global Payroll Supplier of the Year! 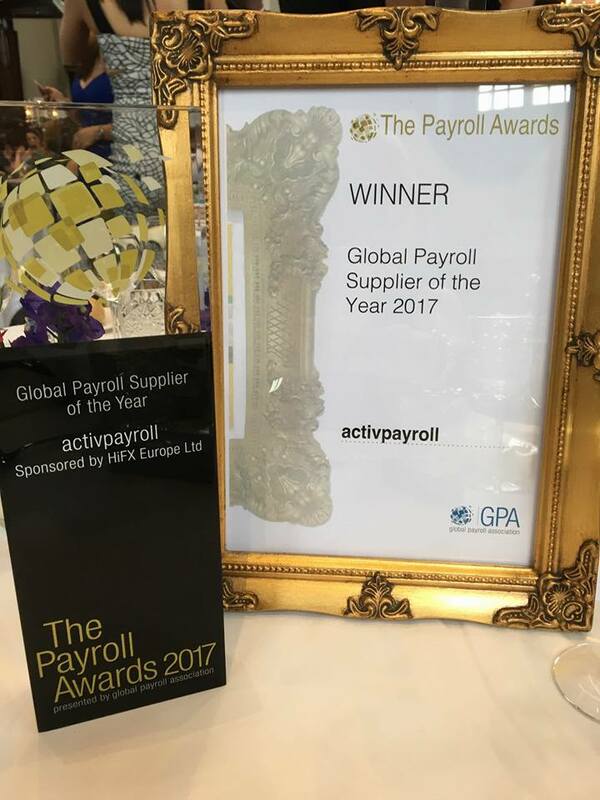 On Thursday 8th June 2017, activpayroll was announced the winner of Global Payroll Supplier of the Year at The Payroll Awards in Amsterdam. activpayroll, the global payroll and employee mobility specialist, was announced as the winner of the Global Payroll Supplier of the Year award at The Payroll Awards, held at the iconic Westerkerk in Amsterdam. The Payroll Awards, hosted by The Global Payroll Association, is the only award ceremony in the world for professionals involved in global payroll, and for the first time this year, they took place in the Netherlands. The event celebrated technical excellence and professional development amongst companies and their payroll teams operating across the globe.